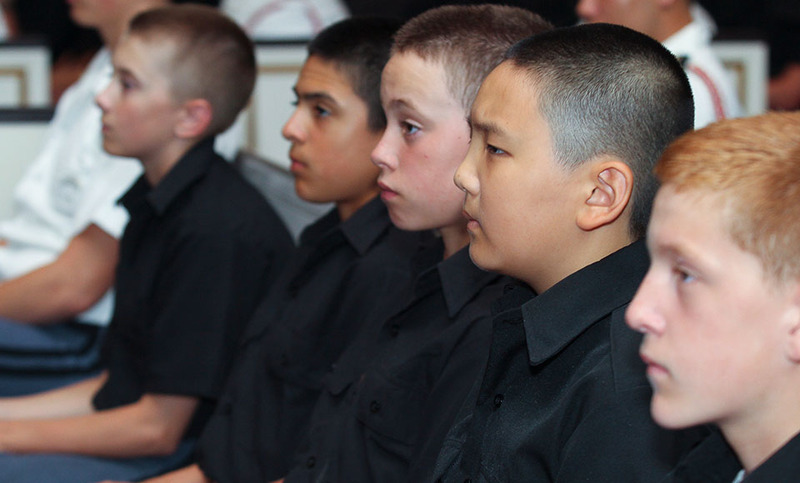 For nearly a century, the parents of our students and alumni have seen the life-changing impact of a Valley Forge Military Academy education on their children. Lives have been shaped, futures changed for the better—all because their parents believed in the value of financially investing in their child’s future. Read on for our current tuition rates and other school fees, as well as for information on tuition payment options . Please visit our Affording VFMAC page for information on financial aid and scholarships. Questions? Please call the Office of Academy Admissions at 610-989-1200. These costs encompass tuition and fees, room and dining, uniforms, required personal supplies, laundry and dry-cleaning, haircuts, shoe repair, and health care. Other expenses include textbooks, personal allowance, and paid activities such as SCUBA training, Judo, and driver’s education, or membership in the cavalry troop (D Troop) or artillery battery (E Battery). A fee is charged for Health Center care that lasts more than 24 hours and requires a medical management plan. 2019-2020 Billing & Payment Contract: Please download, print, sign, and return. HES can help you space out the cost of Valley Forge Military Academy education. You may participate in a payment plan across 10 months, interest-free, beginning in June for the upcoming year. The application fee is $60 prior to August 1; however, it increases to $80 for applications received on or after August 1. Online transactions with HES are completely secure and encrypted. You can apply online for the Higher Education Services, Inc. secure transactions through the HES website. Option 1 – Pay the full tuition amount in June. Option 2 – Pay the first half in June and pay the balance in November. Option 3 – Pay in 10 month increments from June to March. If you choose this plan, you need to sign up with Higher Education Services (HES). Option 1 – Pay the full tuition amount in December or January. Option 2 – Pay in 4 month increments from January to April. If you choose this plan, you need to sign up with Higher Education Services (HES). Questions? Contact HES at 1-800-422-0010.